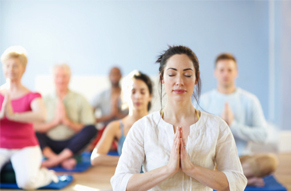 Meditation is a practice that encourages and develops concentration, clarity, emotional positivity, and peace of mind. By engaging with a particular meditation practice, you will learn the patterns and habits of your mind to find your inner peace. Your mind will be clear, relaxed, and inwardly focus during meditation. This drives to an inner state that your mind is very still, silent, and peaceful. 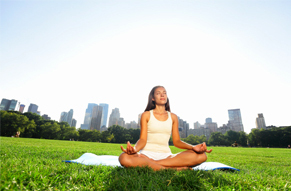 Prior to start meditation, select your preferable position which make you feel comfortable and relax. It can be either on the floor or on a chair. The most conductive siting posture for mediation is called “half-lotus” by sitting upright with your back and spine straight, cross-legging with your right leg over the left one, and resting your hands palms-up on your lap with and the tip of your right index finger touching your left thumb. Then close your eyes very gently and rest your mind at the center of the body. Try to clear your mind from all thoughts and release all tension in your body including all muscles. Breathe in deeply and gently breathe out for a few times. Focus only on your mind, not the surrounding. Then your mind will be still, peaceful, and clear from any thoughts or other worries. The hardest part of meditation is to make your mind still and clear from all the worries. To help your mind keep still and clear, you can repeat the mantra “SammaArahang”, which mean purify mind, within your mind while meditate. When breath in, you say the word “Samma” mentally, and “Arahang” when breathe out. This will help you to only focus in one thing then you will not think about something else.